Third Edition of Campus Experience Real Madrid Foundation on Greece	"
Real Madrid Foundation Campus Experience held on the island of Kos, Greece for the third time. Neptune Resorts, Convention Centre & Spa will host the Real Madrid Foundation Campus Experience in the island of Kos for its third season in a row from June 30th until August 30th. The best way to enjoy a holiday packed with football, fun and the sport’s values. Once again, kids between 6 to 16 years old will take part in this unique and unforgettable experience at top-notch facilities, where they are able to train like their favorite players. Training sessions are always led by certified Real Madrid Foundation coaches, who make sure everyone enjoys learning, development and fun to the maximum, every second of the day. 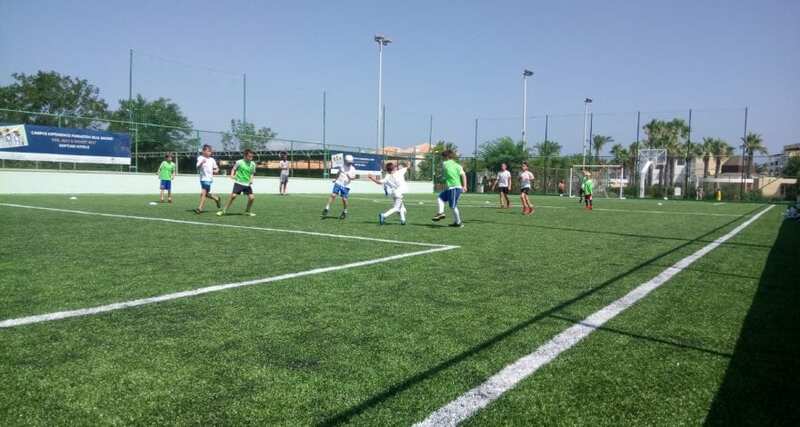 The Real Madrid Foundation Campus Experience offers the opportunity to experience life as part of a team, in small groups, built to provide a more qualitative approach. The Campus Experience also provides children the opportunity to improve and practice their English and befriend children from other parts of the world fostering learning new cultures and lifestyles. It is worth pointing out that the Real Madrid Foundation Campus Experience is the only camp focused on developing and building on all the aspects of the game that any great professional footballer needs, both training and theory, along with social skills, healthy habits and values. It is a space for working hard, to learn about leadership and respect. It is also a great space for growth with a smile. Above all, it is a space for sharing the love for football that unites all its participants. Don’t miss this opportunity and sign your children up for this unique experience that combines a football camps with educational and recreational activities that will allow children to discover and share the values of sport. Boys and girls will have the opportunity to spend some unforgettable days and train the way their idols do in a unique setting, under the magnificent Greek sun at Kos island. Are you going to miss it? For more detailed information, please visit us here.